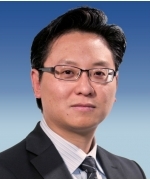 Arthur Chan is an Audit Partner in the Private Client Services (PCS) Assurance Practice of Ernst & Young (EY) Toronto. He enjoys being a trusted business and tax planning advisor to owners and management of private companies in various industries, including retail, manufacturing, consumer industrial products, food & beverage, distribution and real estate as well as private equity investments. He has in-depth knowledge of and experience in dealing with International Financial Reporting Standards (IFRS), Accounting Standards for Private Enterprises (ASPE), U.S. generally accepted accounting principles (US GAAP), and financial reporting rules for private and listed Canadian companies. Arthur graduated from the University of Waterloo’s co-op accounting program in 2000 after obtaining his Master of Accounting (MAcc) and Bachelor of Arts degrees. He is a Chartered Accountant (CA, CPA) and a Certified Public Accountant (CPA, Illinois). He is very active in spending time and giving back to the community. He is the National Vice Chair of the Hong Kong Canada Business Association, Past President and Director of the Hong Kong Canada Business Association - Toronto Chapter, Treasurer of Markham Board of Trade, Director of the Markham Richmond Hill Vaughan Chinese Business Association and sits on the Judging Panel for Association of Chinese Canadian Entrepreneurs annual awards gala.